Know your product: You! Great advice for a sales rep. But critical for a job seeker. A sales rep can say "I don't know the answer to that, but I'll find out and get back to you." You can't. The resume is a starting point to knowing and selling your product (you), and yes, it is required. But no, it's not magic and no, it won't get you the job. Yet without a good one, it could keep you from getting the job (or from getting the interview). Research how to write your personal resume, review the sample, then develop your own using one of our free templates. Learn what you need to get started…and how to develop the very best resume! An example resume so that you can see what a strong resume looks like "on paper" in preparing to develop your own resume. Create your resume quickly and easily, no formatting required! Enter your resume content, download the Word file, save it to our database, and share your resume URL. Build your personal resume using one of our more than 100 fully customizable Quickstart Resume Templates. Resumes for 30 different majors (from Accounting to Zoology) are provided to you free of charge! These resume templates are all entry level, all exclusively here at CollegeGrad.com! Get your resume evaluated by a professional resume expert. You'll receive specific suggestions for improvements within three days. Resume writing services also available. Watch our Job Search Minute videos on how to develop your resume. Available online for free! Post your resume here at CollegeGrad.com to be found and contacted directly by entry level employers. Read resume articles focused on specific aspects of job searching and how to use your resume. 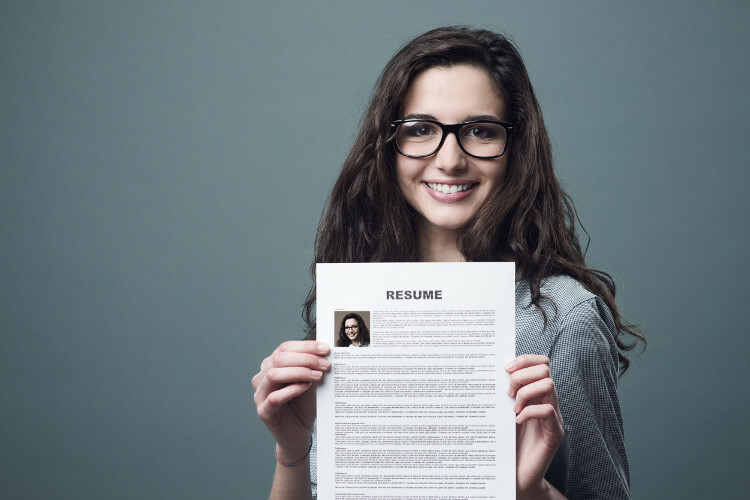 Once you have completed your resume, you need to present it professionally, both online and in print. Your cover letter links your resume to specific employers. Get your references ready and prepped to your advantage. How to acquire the very best references…and the best way to present them!